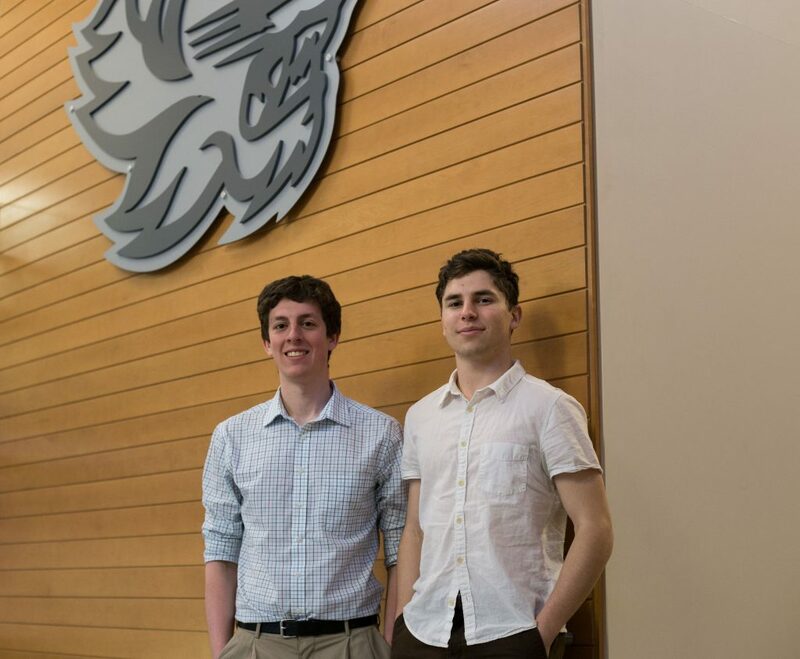 Kevin Natgeo/Contributing Photographer Junior William Frazer and sophomore Jasper Baur, both majoring in geology, are one of 10 teams competing for a $25,000 research grant through National Geographic’s Chasing Genius challenge. Thousands of students applied for National Geographic’s Chasing Genius in January 2017. Now, the competition has 10 finalists — one of which is a team of two Binghamton University students. Jasper Baur, a sophomore, and William Frazer, a junior, both majoring in geology, made it to the final 10 in the competition for their technology involving land mine detection. Baur and Frazer’s idea focuses on creating technology that would be able to detect land mines put in place as a military tactic in countries such as Afghanistan. Even after a conflict has ended, land mines are often left in these areas, negatively affecting the lives of civilians who live there. The national competition, hosted by National Geographic and Sprint, allows people to submit innovative ideas that highlight the ways in which technology can be used to change the world for the better. The finalists are determined by the Chasing Genius Council and the winner is determined by popularity — people vote online for their favorite ideas. Winners take home $25,000 in prize money to develop and carry out their project. According to Baur and Frazer, they would use the money to purchase better equipment to find land mines more precisely. Timothy de Smet, a geospatial remote sensing research educator at BU, said winning the prize money could allow Baur and Frazer to conduct research on a large scale. Baur said the idea to focus on land mines stemmed from a research stream for the Freshman Research Initiative, where Baur was working with postwar artifacts, which led him to this idea of creating better detection technology. For Baur, the humanitarian application is part of what has caused him to keep moving forward with the project. Alex Nikulin, an assistant professor of geology at BU, is helping Baur and Frazer to develop their project. According to Nikulin, the ability to carry out the project as undergraduate students sets Baur and Frazer apart. Frazer said even if they do not win the competition, he wants to continue working on the project. Voting for the Chasing Genius competition can be done through its website once a day, every day until voting closes. The winner will be revealed once voting has concluded on March 20.